Unusual beaked whale strandings in Northwest...Update! More coming in, from Inishboffin, Inisowen and a floating carcass seen from Celtic Explorer this morning may have been a beaked whale !! A whale washed up on Falcarragh, Co Donegal could be another Cuviers and kayacker Paul Duggan found a whale on Inishdalla just of Inishturk, Co Galway it in a gorge, which also looks like a Cuviers beaked whale. That would make the total up to 7 ! IWDG have received two more reported Cuvier's strandings, bringing the total now to five animals between 3 August and 7 August. One report comes from Omey Island, Co. Galway on 3 August and the other report is from Cliffony, Co. Sligo on 7 August. 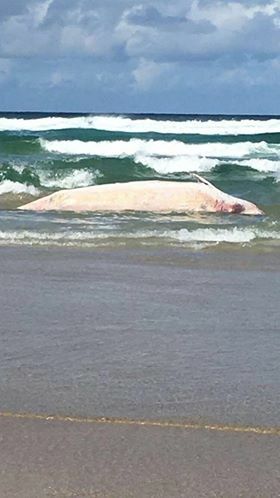 Five recorded strandings of this species in so few days is definitely cause for concern and, as we so often say, is a minimum number, as other dead carcasses may not wash ashore or may go unreported for other reasons. 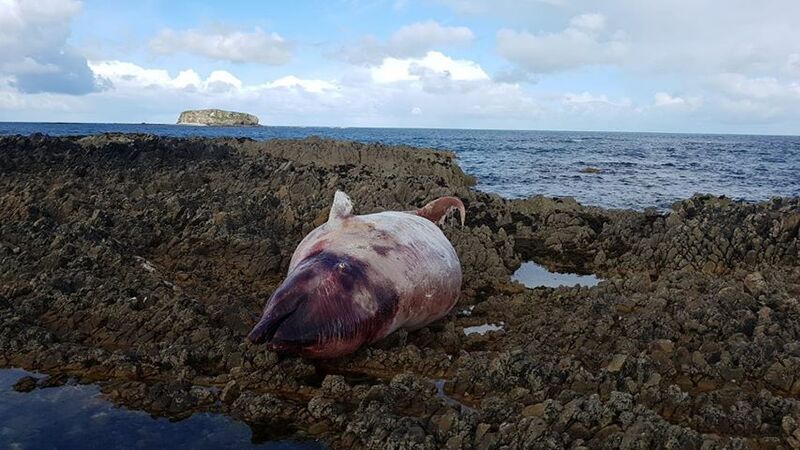 On 4th August 2018, three separate Cuvier's beaked whales were found dead in Donegal and Mayo - one floating in Sheephaven Bay and one on Gola Island in County Donegal and one at Tirraun on the Mullet Peninsula. All three animals had likely been dead for several days and were in poor but similar condition, suggesting the possibility that all three had died around the same time. Cuvier's beaked whales are a deep diving species and have previously been found to be particularly affected by loud underwater man-made noise (eg sonar). It would be relatively normal to record three or four strandings of this species in Ireland in any one year but it is highly unusual to have three recorded in separate locations on the one day. Between 11 December 2014 and 14 April 2015, 11 Cuvier's beaked whales were stranded on the Irish coast, around the same time that a similar number were recorded in Western Scotland. This was coincidental with naval manouevers at the time involving a search for an unidentified submarine but the cause(s) of death of those animals was not established and no connection between the two events was ever established. It is interesting to note that another deep diving species, a long-finned pilot whale, was also reported dead recently on Cross Beach, Co. Mayo, close to one of the stranded Cuvier's. 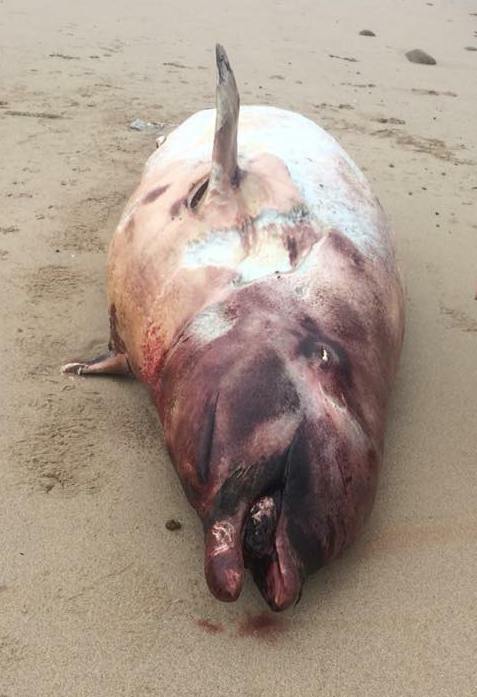 There are a total of 78 stranding records of Cuvier's beaked whales on the strandings database.